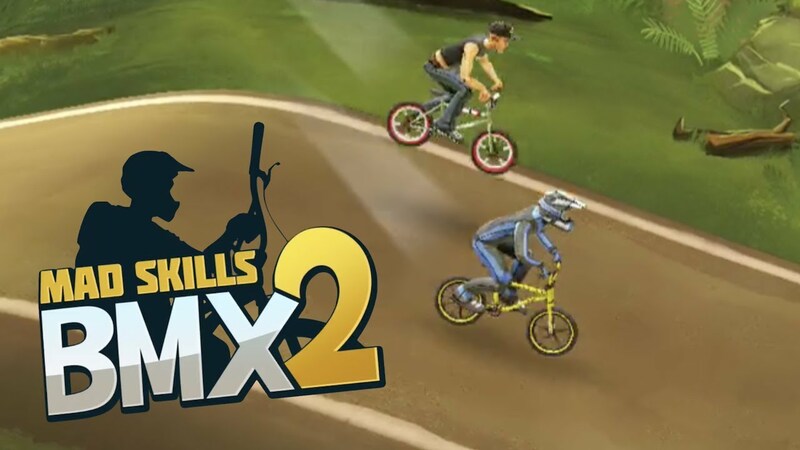 Mad Skills BMX 2 is the sequel to the popular BMX game, and developer Turborilla has upped the ante by adding more tracks, bikes and challenges to unlock and overcome. Like the original, this is a physics based game so it is not a cakewalk like other bike racing titles. For these reasons, you need to use strategies. The controls and gameplay are similar to the first BMX game, but you need to develop a rhythm to handle the physics. You should tap and hold the down arrow when on a rolling hill and then leap up, for instance. There are different types of tracks on BMX 2, but in all of them you need to focus on the timing than the balance. If your bike is flying through the air, time the arrow press so you find the right angle and momentum. As the levels become more challenging, you need to let go of the down and up arrows at the precise moment to get ahead in the game. The slopes and hills vary, but you need to keep as low to the ground as possible. You can think of BMX 2 and its slopes and hills as something like a roller coaster but you have to be as low to the surface as possible. If you make a mistake you can tap restart and give it a go again. There are no tilt controls so you just concentrate on the up and down arrows. Once you are familiar with the game mechanics, you can start doing some cool tricks.